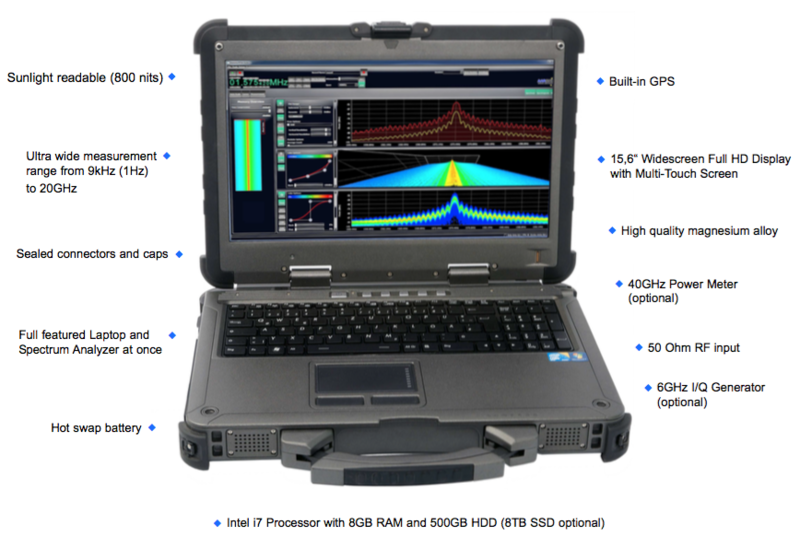 SA-K002 XFR V5 PRO is a powerful rugged 20 GHz spectrum analyzer/PC scanning up to 1000 GHz/s & 175 MHz capture bandwidth plus 4 TB of SSD recording capacity (more than two days of spectrum capture). 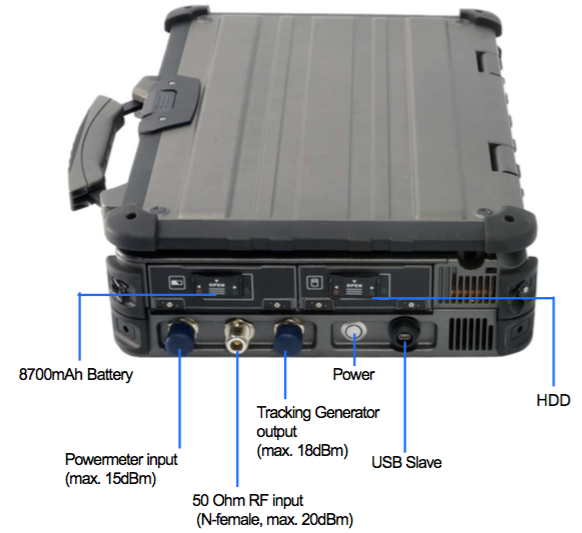 The SPECTRAN XFR V5 PRO is a ruggedized portable real-time spectrum analyzer for capturing even very short signal transmissions. Its scanning speed and recording time is excellent sampling 20GHz of spectrum in less than 20 milliseconds! This powerful and ultra-stable instrument is the first outdoor spectrum analyser with an Intel® i7 processor with 8GB RAM, full HD multi touch-screen, integrated GPS and ultra-low noise level up to - 170dBm (Hz) DANL (with pre-amps). Its thermal management system enables complies with military standards for extreme temperatures. Simultaneously, the XFR V5 PRO offers a Turbo Boost feature ti increase processor frequency to the active cores dynamically up to 3.33 GHz, increasing performance as needed for timely reaction to critical measurement data. With two USB 3.0 super-speed ports, two USB 2.0, a USB2.0/eSATA-combi-connector, two serial ports, two Ethernet ports and a VGA port - among other connections - offers the XFR V5 a variety of interfaces to connect to the desired peripheral. RF Command Center is made in Germany, ensuring the highest level of quality in a technical product. 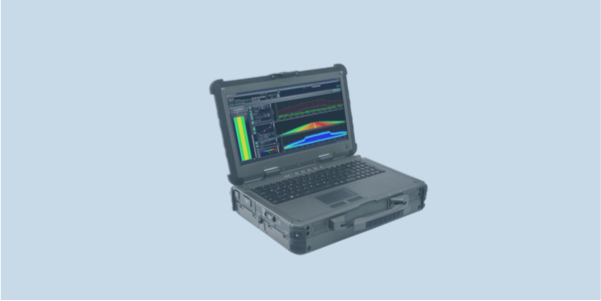 RTSA Software Suite is the world's fastest real-time analyzer software, and is included to provide powerful signal analysis features. This easy-to-use software is suited for detecting unknown or illegal transmissions across a wide frequen- cy range. With an unlimited recording time (needs approx. 1GB hard disk space per minute) the XFR V5 PRO allows to store several hours of real-time data. Once recorded the entire measurement data can be re-loaded into the software. The optional I/Q Generator allows to generate the recorded signals 1:1 up to 6GHz.